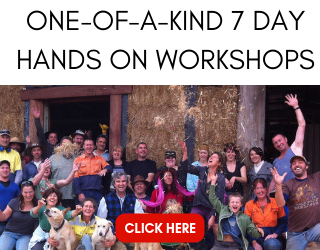 Enjoying your straw bale build is something that many people simply assume will happen. They believe that since they’re really excited about the idea of building their straw bale home that their excitement will turn into enjoyment during the actual process of building or contracting that project. Unfortunately, the reality is often something very different. The good news is that with some simple planning, you can enjoy the process from start to finish. 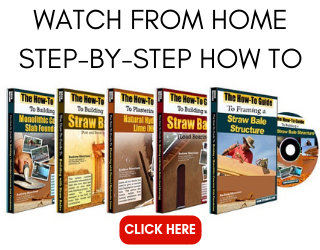 The best way to stay focused on enjoying your straw bale build is to take steps towards that goal long before you actually start building. For example, whether you plan to contract the house yourself or hire it out, making sure that you hire the right people is a huge step towards success. 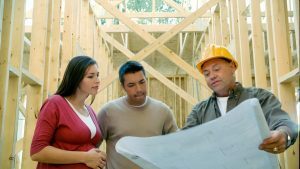 I recently wrote an article called Hiring the Right Contractor for Your Build in which I discuss some simple details to pay attention to during the hiring process. If you get this part right, you will eliminate a huge potential area of stress. This will open up room for you to enjoy the process and to stay positive throughout the build. If you plan to do all of the work yourself, you will still need to pay attention to working with the right people. After all, you will have suppliers for lumber, electrical, plumbing, and more that you will interact with a lot. Choosing the right supply yards is not as important as hiring the right contractors, but it still plays a major role in the potential for your happiness to be diminished or improved. If you plan for setbacks, you will be less impacted by them. That may seem a little weird at first glance: the idea of planning for setbacks, but it’s actually a really smart approach. Put time in your schedule to allow for delays. Be realistic with how long each step of the process will take, especially if you are doing the work yourself. Make sure your communication is clear with your subcontractors or contractors so that there are no surprises about the scheduling of the work; AND, expect there to be surprises and plan accordingly. Be sure to understand the inspection process and exactly what is required of you from the local building department. There’s nothing that stops you from enjoying your straw bale build quite as much as being shut down by the building inspector. Know what inspections are required and when to call for them. Know what the inspectors will want to see. Make sure you have studied the building code for your jurisdiction so that you are building to the correct details in all aspects of the project. 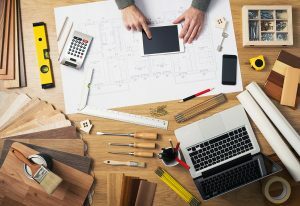 Knowing what details to include and what code compliance regulations will be enforced is something that needs to come in during the design stage. Having s solid and accurate set of plans will not only help you with the code compliance issues, but it will also simplify your build and increase your chances for happiness and success. Hire the right architect or designer so that you know you have this detail locked down and that you can step once again into your excitement and joy regarding the project. For those of you who plan to build rurally, this won’t matter as much. However, for those of you who intend to build near other people, pay attention! Neighbors can not only make or break your construction project, but also your future happiness. Consider that hiring the wrong contractor or choosing the wrong supply yard could negatively impact your build during the project. As true as this is, they will eventually leave and you’ll be left in relative peace in your home. Neighbors, on the other hand, are pretty much there to stay. You will have to live with them! Imagine the difference between living with neighbors with whom you have a good relationship and those that hate you. Enough said. So, what do you do to help this relationship end up the way you want it to? First and foremost, be courteous. No neighbor wants to be woken up at 6am on a weekend to the sound of saws and nail guns. Nor do they want to hear construction late into the evening. Work during normal business hours. More importantly, talk to your neighbors and let them know what to expect with your build. I’m not suggesting that you let them run the show. Instead, I offer that by showing them that you are considerate of their needs and wants, good things can come from the relationship. Another detail that can be missed is the protection of their property. Make sure that anyone working on your site knows where they can and cannot park. Don’t block their driveway, park on their grass or have deliveries made that constrict access to their property. If you have to cut into shared utility lines, make sure that they are warned of any temporary shut offs in advance. This helps them plan around the inconvenience that being disconnected will likely cause. Just plan on it. Building or buying a house is the single biggest financial investment that most people will ever make. If you think you’re going to jump into an investment of this size and not get emotionally attached, you’re kidding yourself. It’s more likely that you will experience the full gamut of emotions, so plan for it. 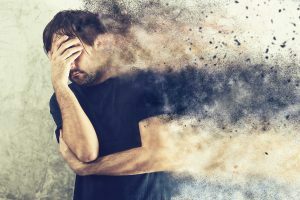 In this way, when you find yourself angry or sad about something, you won’t have to worry about the emotions themselves and you can focus on the situation in a clear and healthy way. Emotions are normal and something that, if embraced, can teach us a lot. Unfortunately, here in the States, we are often taught to either ignore our emotions (“cowboy up”) or see them as a distraction. I completely disagree. I think that emotions act as guideposts for us to see what we really want in any given situation. The most commons emotions that you may experience on your build are happiness, anger, sadness, shame, and fear. They each have something to teach you. When things go “wrong” it’s not uncommon to get angry. If left unchecked, this can become a major problem on a job site, or anywhere in life for that matter. When you find yourself feeling angry, take a break and step back from what you’re doing. Chances are that anger is not what’s actually going on for you. Instead, it’s a filter that you’ve applied to “protect yourself” from feeling something else. Here’s an example. Picture yourself cutting roof rafters and realizing that you’ve done it wrong and have wasted part of your day and perhaps a couple hundred dollars in materials. Is that something that would piss you off? If so, ask yourself why. Are you perfect? Probably not. Do you expect yourself to be perfect? Maybe. 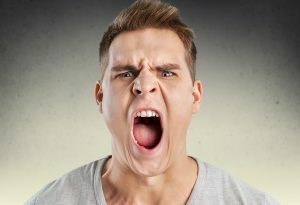 The anger that shows up is a release of emotion, but chances are that you’re actually feeling something else underneath the anger. It could be shame that you made a mistake and are thus no longer perfect. It could be fear that you will now run out of time and/or money. The point is, it’s rarely actually anger that needs to be addressed. Once you connect with what’s actually happening (sadness, fear, shame, etc.) you can shift your perspective away from focusing on the negative and onto finding gratitude about something in that very same moment. Gratitude is the antidote to suffering, so whenever you can focus on what you’re grateful for, any negative emotions will fall away. That’s worth saying again because it is so simple and yet so very powerful. Gratitude is the antidote to suffering. Let’s go back to the roof rafters. Now that you’ve discovered what’s really going on, that you’re nervous that you’ll run out of money because of your mistake, you can take the time to address the true cause of your suffering. Perhaps you can reuse the materials that were mis-cut somewhere else on the project, thus saving money in other places. Maybe you can allow yourself the grace of being human and accept the fact that you will make mistakes. You can shift your focus to being grateful for the skills you have learned through the construction process and for the fact that you even recognized that there was a mistake. You see, once the expectations have shifted and your focus is on the positive, the impacts of your emotional journey will be less of a roller coaster and more of a support to your true self. You may discover that in the end the biggest emotion that runs your life (perhaps unknowingly) is fear. This is pretty common for most people. Unfortunately, most people don’t have any idea that this is what’s happening. They honestly think that they are making decisions from a place of calm, when in fact it’s quite the opposite. 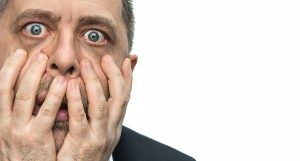 There is one great and powerful tool to learn when dealing with fear: it’s a totally fake emotion. That’s right, the vast majority of fear is fake. Okay, there is real fear too, but most of the time that’s not what you’re dealing with. Let’s look at this way, If you find yourself face to face with a bear that clearly wants to eat you, then fear would be an appropriate response. If, on the other hand, you are worried (fear) that you will run out of money before the project is complete then you are living in a false reality. This is because there is no proof to back up your fear response. You could run out of money, sure, but you could also not run out of money. Neither one of those options has actually happened yet, so the fear you’re experiencing in the present moment is based on a made up conclusion of an impossible to predict future. Some people use the acronym “False Evidence Appearing Real” for fear. This is a great way to look at it. After all, if it hasn’t happened yet, then the only thing you are fearful of is the story that you are creating around what might happen. I had a friend who lived in fear of missing his mortgage payment for 30+ years of his life. Every month he would find himself in the same place: afraid that he would not be able to make the payment. One month, another friend asked him “have you ever missed a payment?” It turns out that in more that 30 years, he had never once missed a payment and yet he lived in fear of that happening every month of those 30 years. What a waste of energy! If he had simply looked at the facts, he would see that the chances of him missing a payment were actually much lower than of him making the payment. With that reality in front of him, making up the story that he might miss the payment makes no sense. We told him that he should instead, make up a supportive story. We suggested he picture himself each month with excess money so that after the mortgage has been paid, he could put a little extra into his savings account. This way, whenever that old fearful story showed up again (scarcity) he could shift his perspective to a new and positive story (plenty). That simple shift defeated 30+ years of stress in short order. 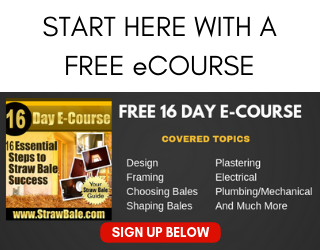 Since the intention is to focus on enjoying your straw bale build, make up your own story that will allow you to do just that. Picture yourself completing the project on time and under budget. 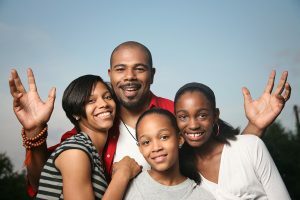 See the beautiful home you have created and see yourself loving the entire process. After all, since fear is just a made up story, why not shift your perspective and make up a story that supports what you actually want: happiness and security? By making up the right story and staying focused on your goals, you can and will build the “perfect” home, all the while enjoying every minute of the process. Our biggest stressor was one contractor about whom I ought not to have ignored my gut feeling in the first place. He not only did more damage than good to the house and cost lots of money that way, but also included us in his vendetta against unsatisfied clients (some of whom phoned us personally) and tried (unsuccessfully) to take us to court. Another client ended up in court with him for defending themselves against being physically attacked. That one was also unsuccessful, but it did go to trial and stressed the people concerned further and wasted more of their time. Do not EVER ignore your gut feelings, people! Compared to that, the fact that I had a serious car accident (someone drove up the back of my car at highway speed as I was turning off) in the middle of building our walls was playschool, as was my husband’s sudden redundancy from employment he had held for 14 years, after he had taken his long service leave to build. All that cost time and was stressful. My husband soon got employment that is actually nicer than the original position he lost, but the middle of a build was really not a good time for that kind of thing. So it took us a fair bit longer to finish than we had hoped, but we did finish and we are very happy with the results. If your Plan A doesn’t work out, you can make it with a Plan B or Plan C or just by keeping on muddling through. Personally we think that planning anything was the thing we’d just throw out if we could start over again. We’d just go with the flow. That’s totally the opposite advice to what most owner builder articles we read stated, but the thing is, if you’ve never built before you really don’t have any idea how long each particular stage you’re doing with your own two hands is going to take you, since you’ve never done it before. The planning and time scheduling just created stress because we simply could not meet most of the planned timelines (especially with the curveballs mentioned above thrown in), so they were worse than useless. It’s only when we refused to work with timelines anymore that we started enjoying ourselves again. The only time planner I would suggest is like a timetable, to keep you on your prioritised tasks: X amount of hours doing this today, Y amount of hours doing that. Just beaver away, and don’t try to estimate your finish date for anything. At the end of the day, it was the constant keeping on with the tasks that got us there, not the failed timelines. Thanks again for your website and personal support, you’re a treasure! Please send our regards to Gabrielle too. I LOVE that you addressed the emotions of building! So many builders/contractors, any kind of trades person actually, misses this as a real part of the process. 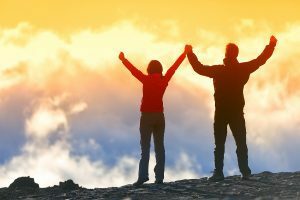 As a professional psychiatric provider, I understand that emotions are interwoven into every aspect of life, and this includes building a home. Most people however, do not understand this. And this is how they get bogged down in their emotions without knowing how they got there. And, as a professional, I applaud your accuracy on emotions and how to deal with them. I bet you do a lot of “armchair” (strawbale?) therapy, don’t you! We are still 2 years away from starting our build, so our primary emotions are still excitement and anticipation. But the closer we get, the more that fear and anxiety I feel creeping in. Great advice, and a healthy practical way of looking at how to approach such an immense project such as building or remodeling your home, Strawbale or not. Fear should motivate you to more thinking what to do about this. Where to find money, where can you save something, etc. Fear is an emotion same like all other and you must, as with others, learn to cope with – not discard it. Hi Marek. I agree that some fear is real and based on truth; however, I would suggest that most times, it is not. Of course, if you don’t have the money you need to build, then facts would support the numbers. That said, fear is not required in that situation. The facts are what the facts are, the fear is a reaction to those facts. It’s possible to not have enough money and to be at peace with that situation. I hope that makes sense. It’s a bit hard to share some ideas in text only.